I recently upgraded to Windows 10 – mostly for the native workspaces (prior to it being native, I used Dexpot which worked great). 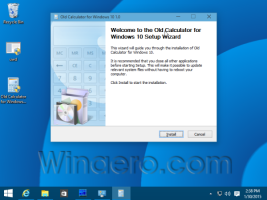 I found this post on the Windows 10 subreddit which links to a Winaero tweak to fix the issue with the Windows 10 Calculator focus . This makes the native calculator work exactly as it did in Windows 7 / 8. My biggest gripe with Windows 10 has to be that certain default programs are now “app-ified”, mainly the calculator. My Microsoft Natural keyboard has a calculator shortcut key which I use frequently. It would automatically open the calculator program, automatically give it focus, and I could start typing immediately – but Windows 10 changed that. I’d have to press the shortcut key twice (no idea why), and on the second press the app would display, but with no automatic focus. Then I would have to “click” the app to give it focus. The entire process was very annoying. I’m glad I found this elegant solution. Thanks to the commenter Kashif, I’ve had success with uninstalling the Microsoft Mouse & Keyboard center. All of the shortcut keys still work – I’m sure Microsoft has extended support built-in to Windows 10. If this works for you, leave a comment below and let me know! I’ve had some users mention that even after doing this (or shortly after it working successfully), it would stop giving focus. So here’s a trick I did that works great. Modify the Calculator key for your keyboard to run a program or shortcut. Point the Calculator key to your new batch file. Thank you so much, update 2 (so far) appears to be working perfectly for me. It is amazing how inconvenient the Windows 10 calculator can be. Usually, even when I do not use a shortcut to summon it when I start typing nothing happens and I have to click on the display of the calculator and start over. Since uninstalling the Microsoft Keyboard and Mouse center, I have had no issues. Wish I had found your post years ago. Update #2 fixed my problem. Focus is back when I press my keyboard shortcut.